My shop is named after my paternal grandmother, Eleri Evans. She was a mother, a wife, an amazing Nana and an extraordinary artist. She is my creative inspiration and she is dearly missed! I paint, make jewellery, but my when my pregnancy nesting instincts kicked in I started making things for my babies. Friends and family started making requests and encouraged me to open my etsy shop. 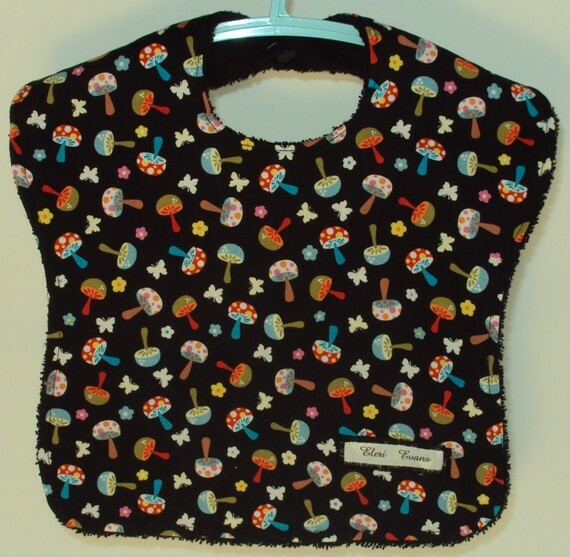 At this point I make burp cloths, bibs, stroller blankets, adult minky blankets, scarves, lanyards, wash cloths, tutus and coffee cozies. My creative juices are flowing, so more items are to come! I do custom orders too. All items are made by me in my pet-free, smoke-free studio. Happily married to my husband for over 12 years, we have an 8 year old son and 18mth old twin girls. People? I ordered a custom adult size blanket and let me tell you, it is the softest, coziest thing EVER! Next? I want a cute coffee cozie! You want some of her goods too? Yeah, you do. You COULD go shopping right now! Stacey is generously offering ALL of us 33% off (hey! that’s my age!) That is amazing! All you have to do is enter the code SLUITER33 at checkout to get your discount! 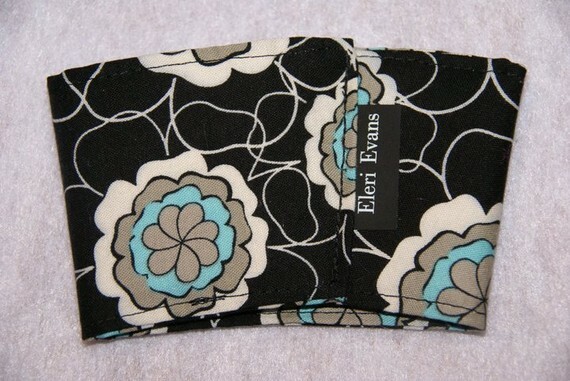 Stacey is giving one of you $33shop credit to Eleri Evans Designs toward anything in her shop! 1) Tell me what your FAVORITE birthday memory is. The fine print:Eleri Evans Designs is providing the spoils for this giveaway. I have gotten nothing in return other than the joy of giving you something on my birthday. Happy birthday! I’ve got my eye on a number of Stacey’s stuff, and will be using this coupon code :). My favorite birthday memory is the first time my twins blew out my candles for me. Cute stuff! My favorite birthday memory was not of my birthday, but when my son turned 1! What an emotional day! My favorite birthday memory was this past year when my husband and I rented a cabin in the mountains and watched the Super Bowl. Yep! The Super bowl on MY birthday! My favorite birthday memories are my kids’ birthdays. I love seeing them excited. My favorite birthday memory is the birth of my son, because he was born on my birthday. Best day ever. my fave birthday moment was when I was pregnant with my last child and I craved cupcakes. My husband showed up with cupcakes and candles, it was so out of character for him. My favorite birthday memory was my 21st…and not for the typical reason. That was 5 days before I married my wonderful husband. We spent my birthday with my family setting up the hall for our wedding!! I have so many favorite birthday memories. Dancing the night away in a club with girlfriends, 80s themeed party with close friends, enjoying Downtown Nashville and an MSU victory and swimming in the Gulf of Mexico with the husband. My sweet 16. My parents invited all my friends to the good ‘ole pizza hut in Z town and surprised me…then let me have the car! I think that my 22nd birthday was a good one. At least I remember it better then my 21st! My favourite birthday memory is my 13th birthday. I had all 13 of my girlfriends over for a sleepover. There was pizza, movies, prank calls, and a very late night. I will never forget how fantastic this day was! Favorite birthday memory was my 30th birthday (though we called it my “29th again birthday”). It was before Hubs & I were married & he organized a huge night out for a bunch of friends! I’d say 21st comes to mind when I think big fun birthday celebration with friends!! My favorite birthday memory was the last one before our daughter was born. Knowing that would be the last time it was just the two of us! My favorite b-day memory was just 2 yrs ago when I turned 30, I thought it would have been terrible but my family made it so special, and I went out with some friends to the melting pot. so good! 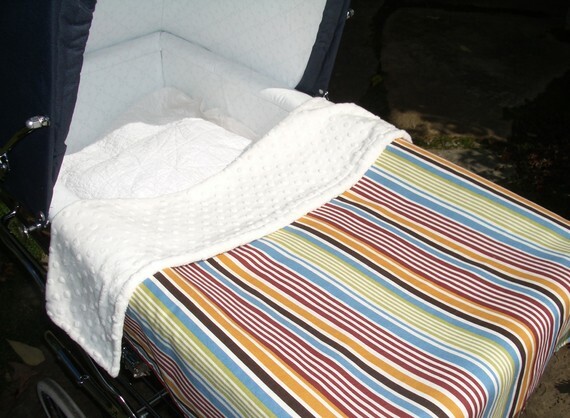 oh, I love her stroller blankets! My favorite birthday memory? Laboring with my daughter on my birthday. Wow, what a sweet memory for me. in college my friends threw a surprise party for me and another friend. we played games like little kids and had a blast. My favorite birthday memory is having sleepover birthday parties in junior high. My favorite birthday memories are from grade school – walking home with a bunch of my friends after school and having ice cream and cake and playing all those silly birthday games! i remember in 8th grade i got to have a big birthday party in our house that we had just moved into – so basically it was still empty – five bedrooms. We ran around like crazy nuts all night! Favorite birthday… HANDS DOWN my 24th birthday I was in beautiful Florida on vacation and it was the day my (then) boyfriend got down on one knee and asked me to be his wife! Maybe my 18th when my mom threw me an impromptu party after school. It was completely thoughtful and I loved it. 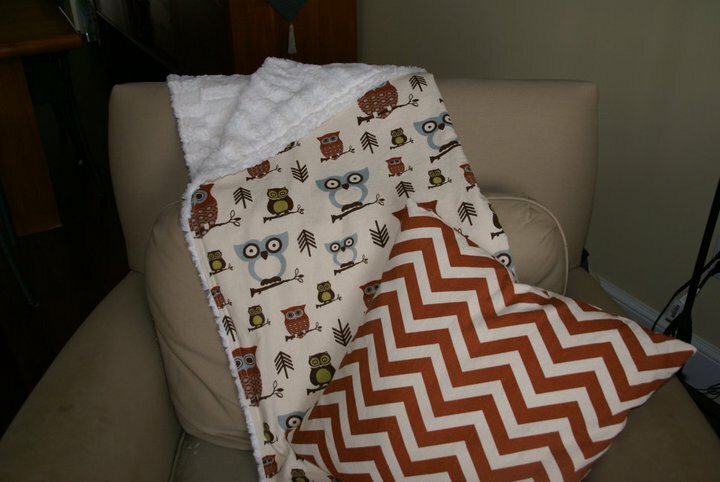 I like that owl fabric!! just sayin…and I Think my favorite birthday memory was my 30th…I danced all night with most of my favorite people (ahem….where WERE you….) and had the best cake ever and I just remember smiling so much it hurt. it twas a good day. a real good day. My favorite birthday memory was last year when I took my son out for a day of junk food and we saw Tangled together. It was my 40th and I couldn’t have had a better day celebrating. And I tweeted! All of the birthdays that my mom threw me as a kid! She always had the best themes.